Ideas of male dominance have a very long history, with many religions presenting it as natural and necessary. The first theoretical account of patriarchy is found in Engels theory of women’s subservience under capitalism. He argued that capitalism resulted in power being concentrated in the hands of fewer people which intensified the oppression of women as men passed on their wealth to their male heirs. (I’ve outline this theory in more detail in this post: the Marxist perspective on the family). The main source of patriarchal theory stems from Feminism, which developed the concept in the 1960s, highlighting how the public-private divide and the norm of women being confined to the domestic sphere was the main source of male dominance and female oppression, highlighted by the famous Feminist slogan ‘the personal is the political’. Today, there is much disagreement over the concepts usefulness within the various different Feminist traditions (for the purposes of A-level sociology, typically divided up into Liberal, Marxist, Radical). The concept of Patriarchy forms the basis for radical forms of Feminism which has focused on how Patriarchy is reproduced in many different ways such as male violence against women, stereotypical representations in the media and even everyday sexism. Sylvia Walby re-conceptualized Patriarchy in the 1990s, arguing that the concept failed to take account of increasing gender equality, but that it should still remain central to Feminist analysis, suggesting that there are six structures of patriarchy: Paid Work, Household Production, Culture, Sexuality, Violence and the State. Walby also argued that analysis should distinguish between public and private forms of patriarchy. The concept of patriarchy has been criticized from both outside and within Feminism. The concept itself has been criticized as being too abstract: it is difficult to pin it down and find specific mechanisms through which it operates. Many Feminists argue that Patriarchy exists in all cultures, and thus the concept itself is too general to be useful, as it fails to take account of how other factors such as class and ethnicity combine to oppress different women in different ways. Black Feminists have criticized the (mainly) white radical Feminist critique of the family as patriarchal as many black women see the family as a bulwark against white racism in society. Postmodern Feminism criticizes the concept as it rests on the binary distinction between men and women, the existence of which is open to question today. Much contemporary research focuses on discourse and how language can reproduce patriarchy. For example Case and Lippard (2009) analysed jokes, arguing they can perpetuate patriarchal relations, although Feminists have developed their own ‘counter-jokes’ to combat these – they conclude that humor can act as a powerful ideological weapon. A summary of Malcom Gladwell’s ‘Outliers’ chapter 3: The Trouble With Genius, Part 1. Over the past Decade, Chris Langan has become the public face of genius in American life. He has an IQ of 195, compared to Einstein who had an IQ of 150 and the average of 100. Langan was a ‘child genius’ – he was speaking at 6 months of age, and taught himself to read at three. He didn’t attend school very much but could ace any test after cramming a semester’s worth of text books for 2 days. He was also something of a polyglot – he was interested in maths and physics, but also languages, philosophy and he could sketch a picture of something for fun which ‘looked like a photograph’ according to his brother. Just after WW1, Lewis Terman, a young professor of psychology met a remarkable boy named Henry Cowell, who, although unschooled since 7, achieved an IQ score of above 140, near genius level. This made Terman wonder how many other undiscovered geniuses there were out there. In 1921 Terman decided to make the study of the gifted his lifes work. Through a series of 1Q tests administered in elementary schools to 250 000 students, he identified 1470 children whose IQs were above 140, and who became known as the ‘Termites’ and were to be the subjects of the most famous psychological study in history. For the rest of his life, Terman watched over his charges – they were tracked and tested, measured and analysed and pretty much every milestone of their future educational and professional lives were recorded in thick red volumes entitled ‘Genetic Studies of Genius’. Terman even wrote his ‘Termites’ letters of recommendation for jobs, and as his subjects grew older he issued updates on their progress – pointing out that in pretty much every field of expertise, you would find a Termite heading to the top of it – he fully believed that these 1470 would be the future elite of America. ‘There is nothing about an individual as important as his IQ, except possibly his morals’ Terman once wrote, believing that identifying IQ-based talent and nourishing it was the best way to find our future leaders. 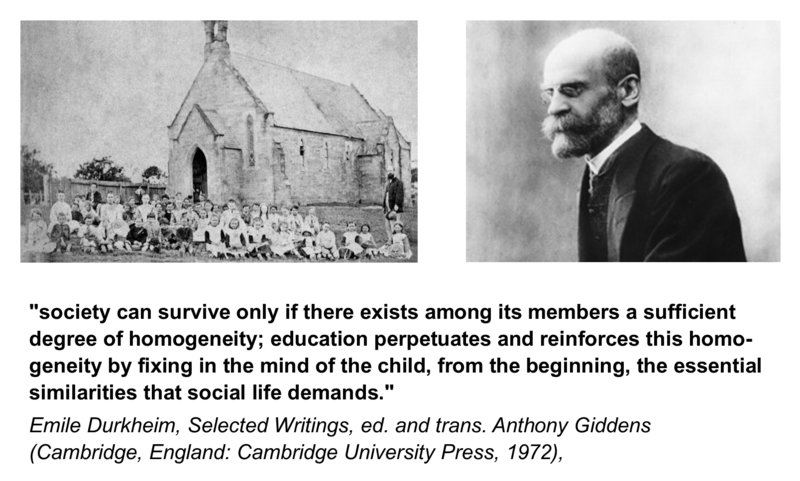 Today, many of Terman’s ideas remain central to the way we think about success – schools measure IQ, we have gifted programmes and tech companies also measure cognitive ability. We tend to be in awe of Geniuses – they seem to be the purest of ‘outliers’ – so far ahead of the rest of us genetically that nothing can hold them back, and we tend to listen to people like Terman who suggest that sheer brute intelligence is the most significant thing in determining the success of the individual. However, Gladwell suggests that Terman was wrong about his termites – he made an error because he didn’t understand what a real outlier was. Over the years an enormous amount of research has been done in an attempt to determine how a person’s performance in an IQ test translates to real life success. People at the bottom, who get a score of 7, are considered mentally disabled. A score of 100 is average, and in order to handle a college graduate programme, you’ll probably need a score of 1115. In general the higher your IQ score then the more education you’ll get and the more money you’ll make. However, there is also such a thing as an ‘IQ threshold’ – it has been amply proved that someone who has an IQ of 120 can think better than someone with an IQ of 100, and the person with higher IQ will, on average, be more successful in education and life more generally, but once you get to the 130 threshold, the relationship breaks down – A scientist with an IQ of 180 is just as likely to win a Nobel Prize as one whose IQ is 130. In other words, if you have an IQ of 130, you have reached the ‘threshold’ where you are good enough to excel in your field – someone with an IQ 50% higher than yours will not be ‘50%’ more successful, and you basically have an equal chance of excelling as your peers with slightly, or significantly (but not significantly!) higher IQs than yours. Unfortunately, the idea that IQ has a threshold goes against our intuition, we tend to think that the Nobel Prize Winners are the ones like Chris Langan, the exclusive people who have very high IQs – but this is simply not the case, someone with an IQ of 130 is just as likely to become the top of their field as someone with an IQ of 180. With this knowledge in mind, the psychologist Barry Schwartz recently proposed that elite schools give up their complex admissions processes and simply hold a lottery for everyone above ‘the threshold’ – create two categories: those who are good enough and those who are not, and put the names of the former into a hat. Schwartz accepts the fact that his idea will probably never be accepted, but Gladwell thinks he’s right. This section ends by making the case for affirmative action – the University of Michigan relaxes its entry criteria for minority students, which brings their ethnic intake up to 10% (it’s estimated that without the affirmative action, the figure would be 3%. The University conducted a study to see how successful these students were years after graduating, and found that they were just as successful as their white peers. The reason: because even though they had lower high-school scores than their white peers, those scores were still above the threshold. Given that there is a threshold for intelligence, it must be other things that determine which of those with IQs over 130 go on to be remarkably successful – one such thing may well be their ability to think ‘divergently’. One type of divergence test is to get people to think of as many different uses of an object as possible, which is a measure of creativity, and some people with high IQs are very good at this, others are very bad at it. This might well explain why some of those with high IQs do better than others. Another analogy Gladwell uses here is taken from Basketball – once you’re 6,2, you’re tall enough to make it to major league basketball, after that, it’s things like agility that determine who the very best are. To go back to Terman’s Termites, by the time they reached adulthood, his early predictions about their future success had been proved wrong – some had gone on to be successful, most had good, but not outstanding careers, while others were stuck in pretty average jobs. By volume 4 of his study, Terman concluded that the link between intelligence and success was not at all clear. In a damming study by sociologists Pitirim Sorokin, Sorokin argued that if Terman had selected a group of children at random and followed them through to adulthood, then you’d have exactly the same distribution of successful adults and those in ordinary careers. So what all of this tells us is that having a large IQ is no sufficient to explain why people do well in life, we need to know a lot more about them than that. A question you might want to consider is this: If such rigid selection by ability is not necessary for students to benefit from an elite education, then why do elite institutions spend so much effort ‘selecting’? Could it be that having control over the selection process allows them to select out people ‘not like them’ – i.e. the working classes who are ‘intelligent enough’ but haven’t been hot-housed by independent schools to get the very top grades??? It’s interesting to hear talk of ‘being good enough’ to benefit from an certain level of education given that you hardly ever hear the phrase ‘good enough’ in the context of education – the discourse is much more about aspiring to be better, it’s as if, in a marketised system, there is no such thing as ‘good enough’, possibly because the very concept of settling for ‘good enough’ would stifle competition.